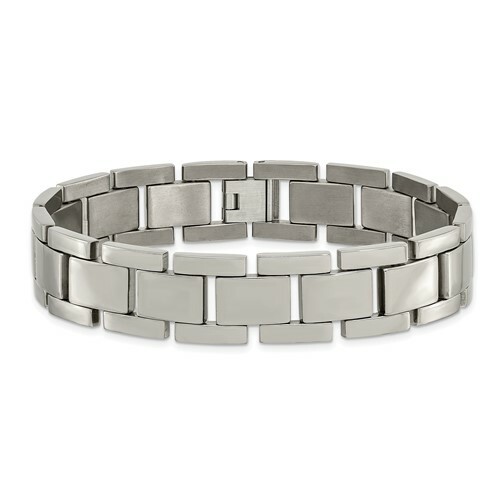 Titanium polished bracelet has thin and thick links and a fold-over clasp. Length: 8 1/2in. Bracelet width: 1/2in. Weight: 32.7 grams. Import.